Possibly Marasimus rotula. Growing out of leaf litter on a very old stump. 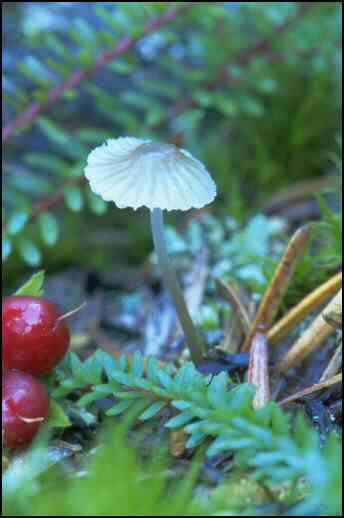 Trailing Raspberry and crowberry, and conifer needles surround the mushroom.